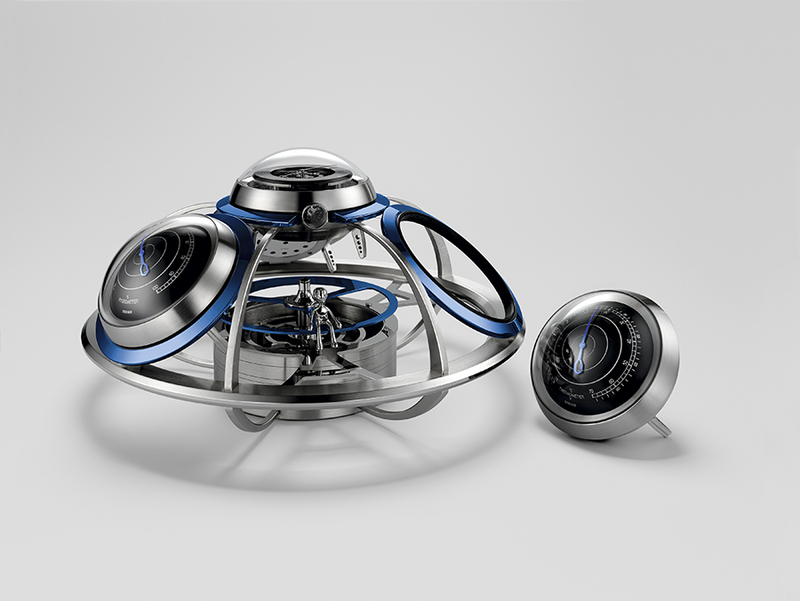 The watch brand of MB&F has had some excellent collaborations with other teams. They have worked with Reuge to create a series of musical boxes that defy the norms, more scultpute with music than traditional music box. And their work with Caran d’Ache gave us a Rocket Pen, really, a writing instrument that could take us on flights of fancy in more ways than one. When you have a writing instrument that unfolds into a rocket ship, well, you just know you’re having a good day. 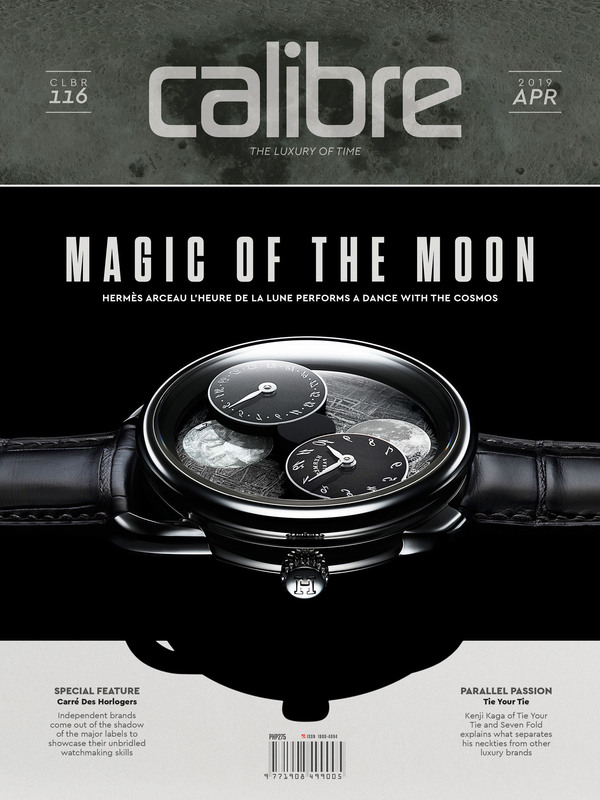 And then there is their work with L’Epée, which has brought an entire series of mechanical clocks. And what are we looking at now? A small mechanical alien visitor, a newcomer to our land. 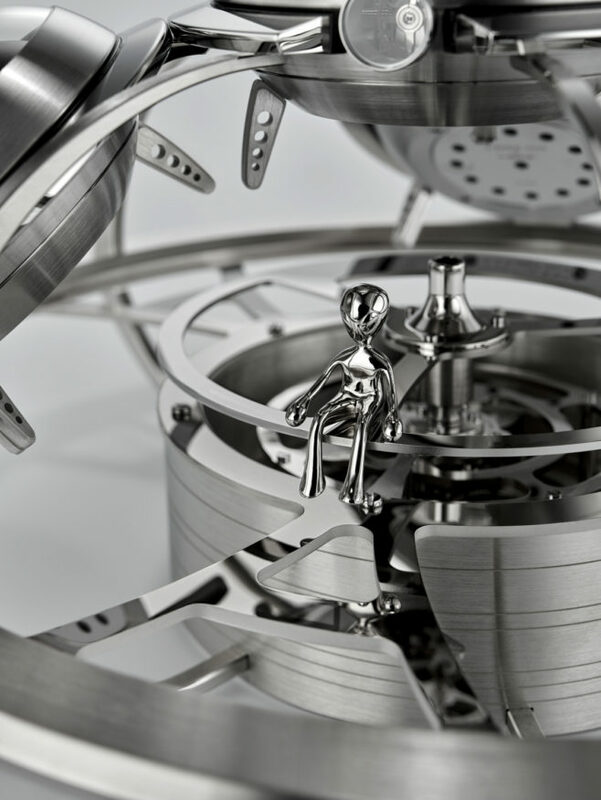 MB&F’s Fifth Element is coming to the Basel Worlds Fair in all its tiny, functional glory, so let us tell you a little bit about it. For one thing, it’s not what you think. The Fifth Element is, literally, more than meets the eye. 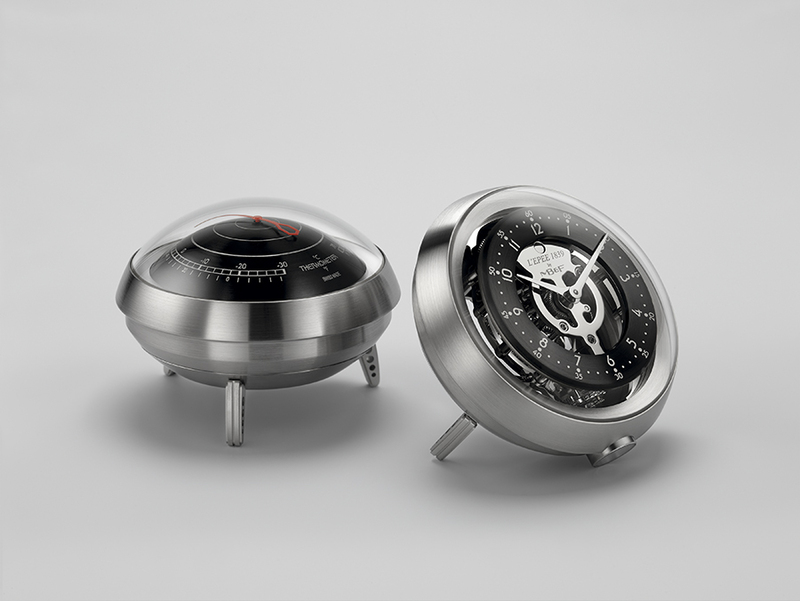 It’s built like a spaceship, but it had detachable components that serve as a thermometer, a barometer (measuring air pressure, a good thing for a seagoing ship and I suppose a useful one for a spaceship too, once you’ve arrived) and also a hygrometer. 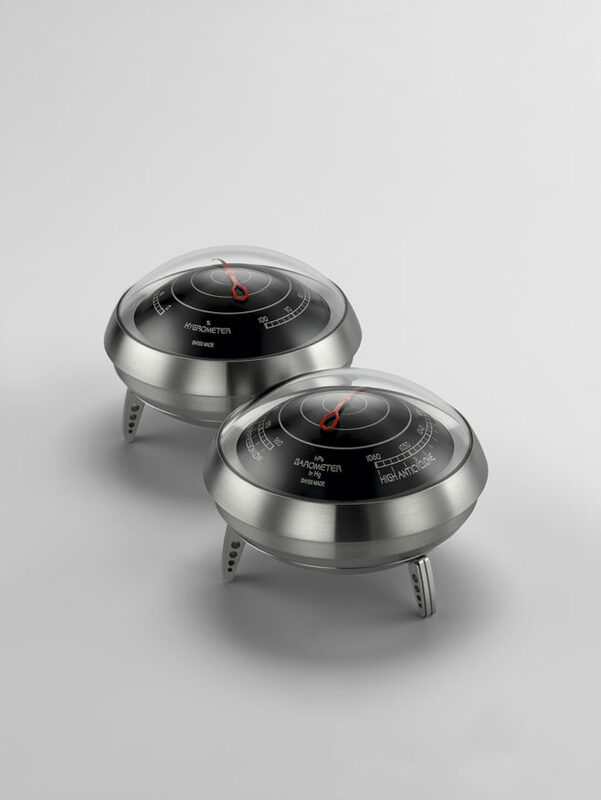 A hygrometer measures water vapor in the atmosphere. So we see that the Fifth Element is a portable little weather station! It fits together like a UFO from the movies of the 50s and 60s. And it’s all piloted by our small friend Ross. He’s actually powered by a little mechanical movement of his own. 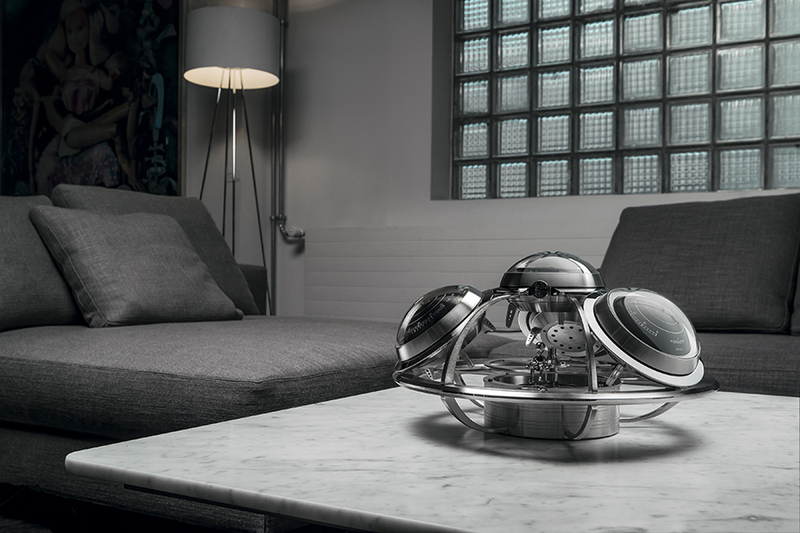 Ross is the one to meet if you’re looking for this charming little functional spaceship from MB&F and L’Epée, and we strongly recommend a visit over to the MB&F booth at Baselworld. Treat him right, and he may tell you if it’s going to rain.